Every knitter will adore these timeless, fashionable, and extremely wearable hats, all photographed on models in a chic urban setting. Most of the projects involve knitting in the round, so a thorough overview explains the technique, as well as basic hat forms, choosing a yarn, and accessible techniques such as felting. 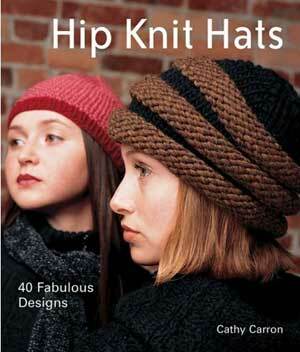 Try a shaped ribbon yarn hat with equally decorative and functional earflaps. A simple brimmed felted wool hat becomes a fashion statement with a brightly colored decorative edging. Whip up a chunky seed stitch cap in just a matter of hours. Even the simplest designs are stylish, using great color combinations and yarns with irresistible textures. And, because the patterns come with both medium and large sizes, you can knit to fit.